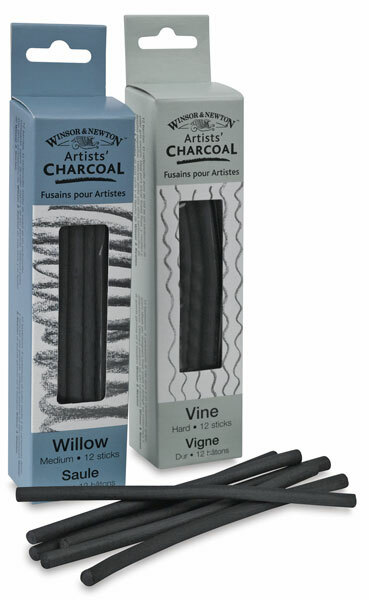 Winsor & Newton Charcoal Packs contain high quality vine and willow charcoal that's carefully selected for uniformity without imperfections. 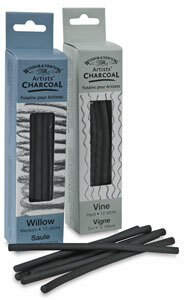 Vine charcoal is dark gray while willow charcoal is black. This charcoal is conveniently packaged in packs of three sticks, with each stick measuring approximately 5½" (14 cm) long.